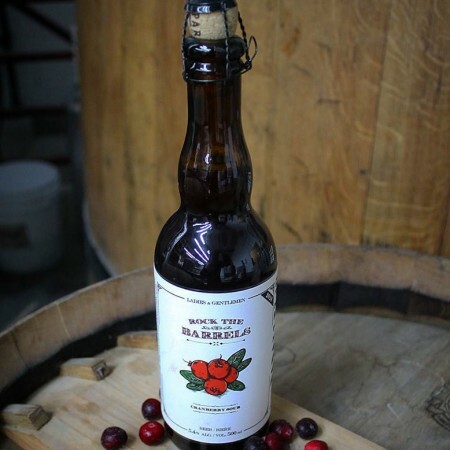 VANCOUVER, BC – Parallel 49 Brewing has announced details of the latest release in its ongoing series of limited edition barrel-aged beers. This tart and crisp cranberry sour ale was aged in American Whiskey barrels for ten months. It’s pleasantly puckering with spicy oak tannins and notes of vanilla, dark cherries, dried fruit, and tart lemon. It finishes with a hint of barnyard funk and lingering dry, acidity. Rock the Barrels is available now in 500 ml cork-and-cage bottles at Parallel 49 and select private liquor stores in British Columbia.